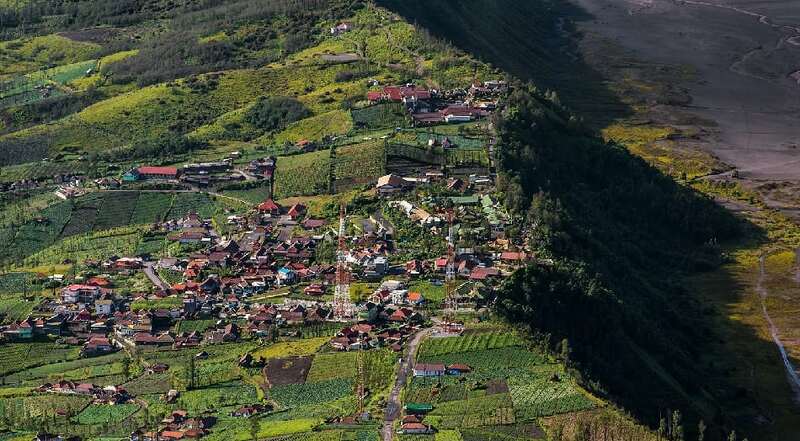 Cemoro Lawang is a tiny town near Mt Bromo in Indonesia. It has incredible views of Mt Batok and Mt Bromo. It is used as a base for early morning climbs of Mt Bromo, an active volcano which stands in the middle of a sea of sand.